Christmas in the oul’ country | Where's my backpack? This time last year I had a lot of fun putting together a little video of Christmas in Seattle, so I decided to do it again this year from the other side of the world. Here are a few images of Christmas this year in Ireland. After the celebrations have ended, all that remains is to try to beat the crowd to the post-Christmas sales. I saw these guys this morning getting a head start. This entry was posted in Ireland, Photography, Travel and tagged christmas, holidays, humor, photography, postaday, travel, video. Bookmark the permalink. Merry Christmas to you, Ailsa! Beautiful video! Really enjoyed your photos. And the picture of the sheep heading off to the mall made me laugh! Great post – Merry Christmas ..
Hope you had a fantastic Christmas! Beautiful video, as always. Merry Christmas and Happy holidays Ailsa dear. 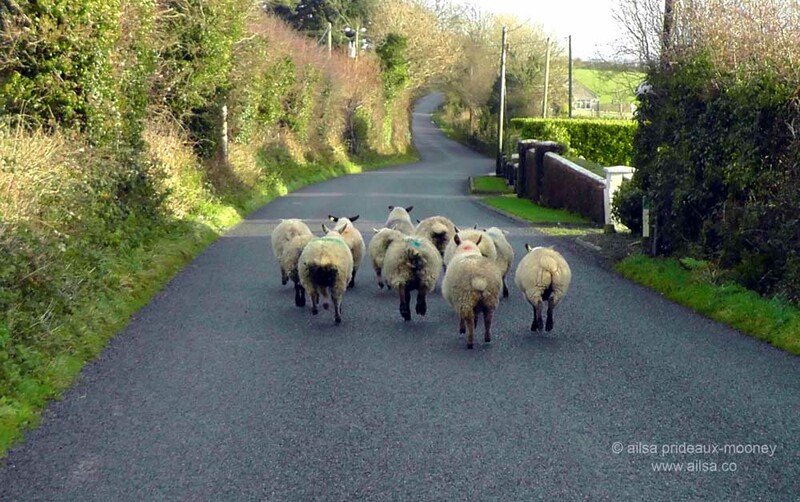 Enjoyed my hop over to Ireland with you and the racing sheep ! Wonderful video, Ailsa! I enjoyed watching it very much. And the music from The Nutcracker is the perfect touch. Happy holidays! Ireland–I hope to travel there one day! Thanks for the lovely video and music! Hope you had a wonderful Christmas! Lovely sheep!